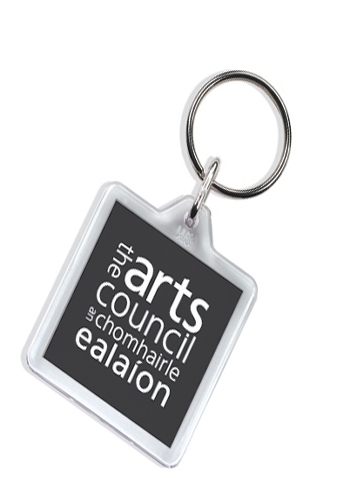 Acrylic Keyring - digitally printed in full colour on both sides. Insert size: 32 x 32mm Other styles also available. Unit prices: 250 @ 85 cent / 500 @ 70.